Intel chief executive Paul Otellini has said that twenty Windows 8 tablets are in the design phase at major manufacturers. These devices are expected to launch later this year when Microsoft launches its new OS, Windows 8. Since the new OS is compatible with desktops as well as tablet devices it is expected to target a wider audience. Apple’s iPad, the current market leader in tablets, runs on the Apple A5 processor, which is an ARM-based chipset. The Intel Atom processor was widespread in netbooks as it was power efficient ensuring that the devices had a better battery life than the traditional notebook. However, power efficiencies were not yet good enough for smaller, more mobile devices. Intel's first successful answer was the Medfield SoC lineup, its first truly low-power x86 Atom chips competing with ARM offerings from Qualcomm, Texas Instruments, Nvidia, and others. The Windows 8 tablets will be now powered by the Clove Trail chipsets that are slated to launch in the second half of 2012. Clove Trail is an attractive chipset for tablets as it boasts of dual core capabilities and is a successor to the Medfield chip powering the Lava Xolo X900. The Clove trail chipset will bear a 32nm SoC. A follow up to the Clove Trail called the Bay Trail is in the works, which will be a 22nm SoC. Intel is the biggest name in the processor business, and in the past few months, we have started seeing notebooks powered by Intel’s third generation Core processors (Ivy Bridge) hit store shelves. With 140 Ultrabook designs in the pipeline, Paul Otellini said that the industry appears to be on track to sell $699 (Rs. 38,500 approx.) Ultrabooks towards the end of this year. As of now, the cheapest Ultrabook available in India costs around Rs. 50,000. Of these 140 Ultrabook designs, 40 are expected to be touch enabled i.e., bear a touchscreen. 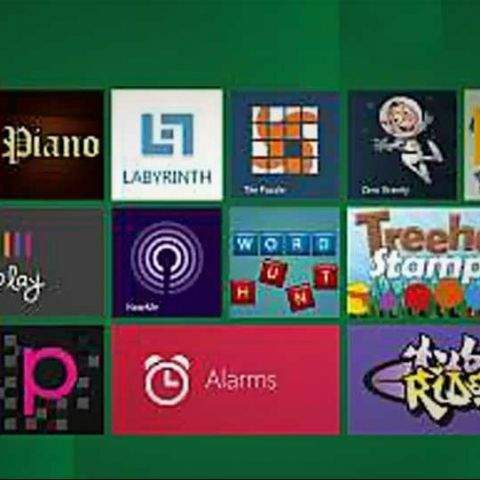 Windows 8 has been optimized for use with a keyboard and mouse as well as a touchscreen interface. Intel introduced the category of Ultrabooks in the computing world. To qualify as an Ultrabook, a device needed to fulfill certain basic criteria’s. The devices would be powered by Intel’s processors, have a battery life of minimum 5 hours, have fast boot times and be not more than 0.82-inches thick.